Everybody wants a fast processor for a small price. But how can one actually get it? In most cases, a fast processor has a better performance ratio and sadly comes for a hefty price because of all the resources that go into its making. However, the good news is: Intel has come up with a powerful processor for the light pocketed enthusiasts, gamers, designers and routine workers. 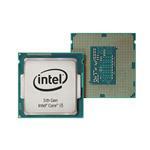 What can Core i3 Mobile Processor Do For You? Whether you are looking to get a new software running at high-speed or you want to play HD games, the 5th Generation Core i3 mobile processor can work wonders for you. Even if that is not what you want, the Core i3 can still help. Built with powerful processing cores, the Intel Core i3 5th generation processor is a fit for anyone looking to boost sales, play HD games and experience high-quality performance. All this, in a small budget. 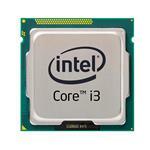 Browse Core i3 5th Generation Broadwell processors on Memory4Less.com. Buy them today and avail free ground shipping on all orders.